JAXA announces that the Epsilon 4 launch encapsulating the innovation satellite technology is scheduled on January 17, 2019. The launch window is 9:50:20 a.m. through 9:59:37 a.m., in Japan Standard time. 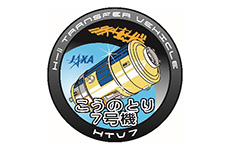 At approximately 4 pm, January 17, the HTV7 return capsule was delivered to the JAXA Tsukuba Space Center. 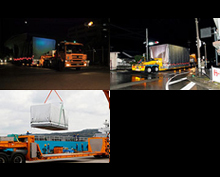 At 9:42 am Today, Tuesday November 13, the sample collection capsule onboard the cargo transporter Kounotori (HTV7) was delivered to the JAXA Tsukuba Space Center. Earlier at 7:06 am, November 11, the HTV Small Re-entry Capsule (HSRC) splashed down, then, was picked up by the recovery ship at 10:25 am on the same day. The HSRC first landed in Japan when it was delivered to Minami-Tori-shima at 4:50 am, November 13. Less than an hour later at 5:17 am, the HSRC got airborne, leaving the isolated Japanese coral atoll in the northwestern Pacific Ocean for the main island. At 7:06 am, Sunday November 11, the HTV Small Re-entry Capsule (HSRC) splashed down. 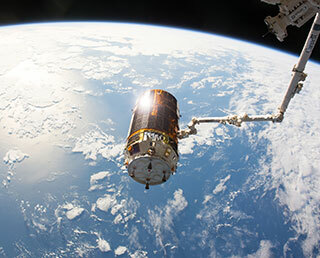 Earlier, the HSRC was released from the host spacecraft Kounotori 7. Later at 10:25 am of the same day, the HSRC was collected by the recovery ship off the coast of Minami-Tori-shima. 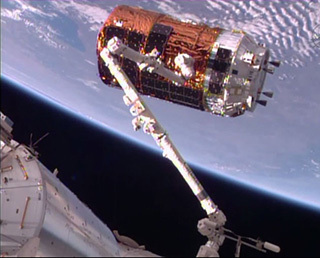 Alexander Gerst used the robotic arm to release the HTV transfer vehicle-7 (HTV7) at 1:50 am, November 8. 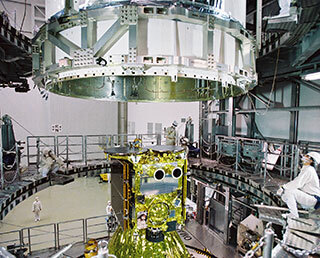 Robotics ground controllers used the Station Remote Manipulator System (SSRMS) to unberth the HTV7 from the international outpost of the International Space Station. 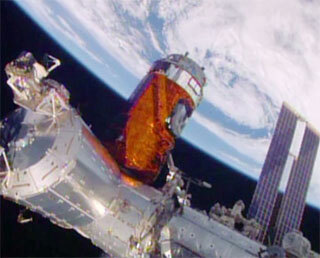 (ISS) HTV7’s thrusters were fired to move the spacecraft a safe distance from the station. The HTV Small Re-entry Capsule (HSRC) with experiment samples on board was attached onto the hatch of the pressurized logistic carrier of the HTV transfer vehicle-7 (HTV7) at 0:26 am, November 7, the process readying the HTV7 to unberth from the International Space Station. (ISS) JAXA Astronaut Takuya Onishi was among the ground controllers who gave commands from the JAXA Tsukuba Space Center. Onishi rejoiced together with the ground control teams of Kibo and HTV that this phase of the HTV7 mission was now completed. 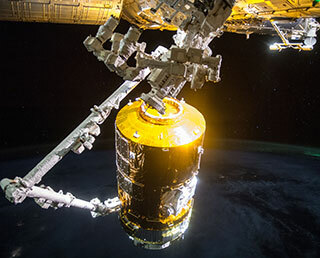 JAXA will cover the HTV7 departure from the ISS live from 1:20 am, November 8. Share the moments with us. The cargo transporter to the International Space Station, KOUNOTORI7 (HTV7) was captured with the robotic arm of the International Space Station (ISS) at 20:36 p.m. on September 27 (Japan Standard Time) and berthed to the ISS at 3:08 a.m. on September 28 (JST). Astronauts aboard the ISS will shortly unload the pressurized and unpressurized logistic carriers of HTV7 and will transfer the cargo into the ISS. The launch vehicle flew smoothly and 14 minutes and 59 seconds after liftoff, the separation of the HTV7 was confirmed. The HTV7 will gradually get closer to and will be berthed at the ISS. Don’t miss the live docking coverage on our website. JAXA will broadcast a live launch report from the Tanegashima Space Center from 2:27 a.m. on the 23th. You can watch it through the Internet. Please have a look! 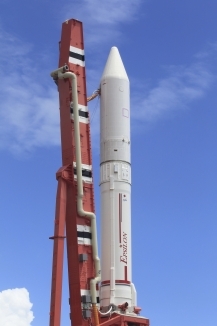 Mitsubishi Heavy Industries, Ltd. and JAXA have cancelled launch of the H-IIB Launch Vehicle No. 7 (H-IIB F7) with aboard the H-II Transfer Vehicle "KOUNOTORI7" (HTV7), the cargo transporter to the International Space Station(ISS). The cancellation is because additional investigation became necessary of the H-IIB F7 propulsion system. The launch was scheduled for September 15 (Sat. 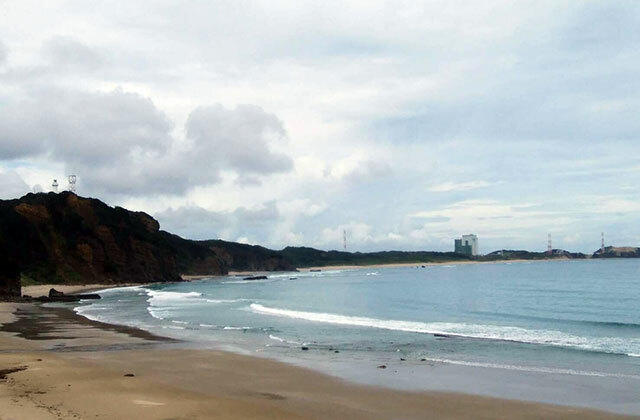 ), 2018, from the JAXA Tanegashima Space Center. Launch schedule updates will be invormed when determined. The launch time of the H-IIB Launch Vehicle No. 7 with the KOUNOTORI7 (HTV7, a cargo transporter to the International Space Station) was set for 5:59:14 a.m. on September 15 (Sat. ), 2018 (Japan Standard Time.) 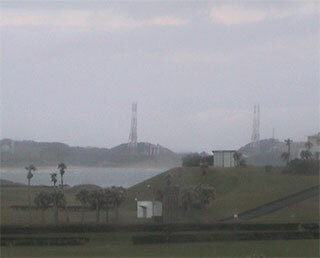 JAXA will broadcast a live launch report from the Tanegashima Space Center from 5:35 a.m. on the day. You can watch it through the Internet. Please have a look! 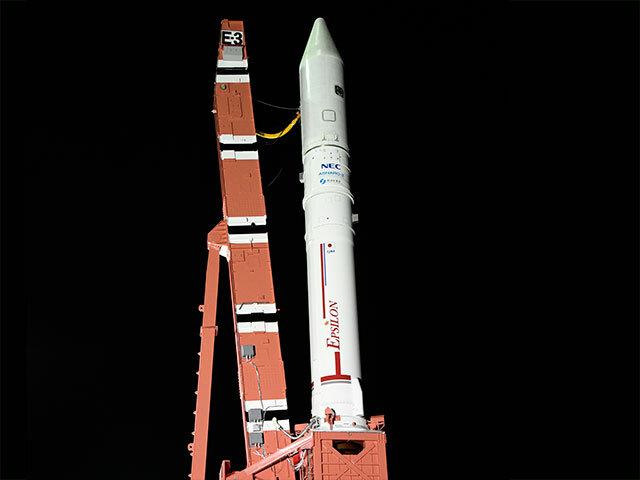 The launch date of the H-IIB Launch Vehicle No. 7 carrying the KOUNOTORI7 has been postponed as unfavorable weather is forecasted. The launch was originally scheduled for September 14, 2018. 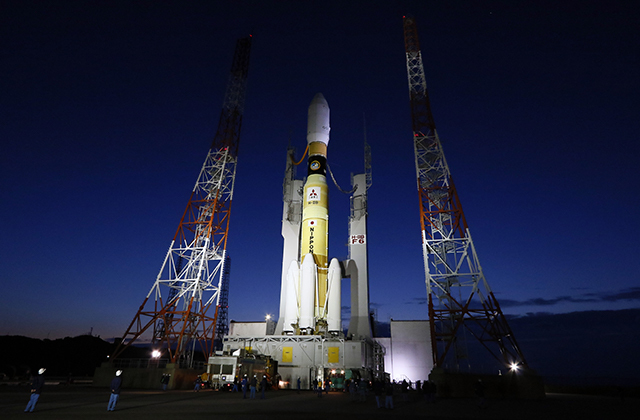 The KOUNOTORI7 (HTV7) / H-IIB F7 launch was postponed to around 6:20 a.m. on September 14 due to adverse weather. Accordingly, the live launch report will begin at 5:55 a.m. on September 14 (Feb., JST). The report will be broadcast through the Internet. The launch date of the H-IIB Launch Vehicle No. 7 carrying the KOUNOTORI7 has been postponed as unfavorable weather is forecasted. The launch was originally scheduled for September 11. The live broadcast of the launch will also be put off accordingly. Launch day set for KOUNOTORI7/H-IIB F7! The launch date and time for the H-IIB Launch Vehicle No. 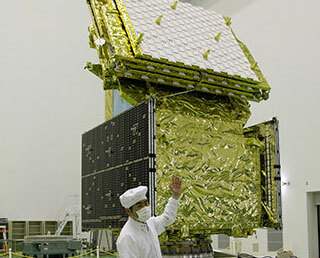 7(H-IIB F7) with the H-II Transfer Vehicle "KOUNOTORI7" (HTV7) onboard was set for around 7:32 a.m. on September 11 (Tue. ), 2018 (Japan Standard Time). * Launch time will be determined by the updated orbit of the ISS. Exactly at 2:03 pm (Japan Standard Time) at the JAXA Uchinoura Space Center, JAXA experimented SS-520 No. 5 launch with a microsatellite TRICOM-1R aboard. After liftoff, flight of SS-520 No. 5 proceeded normally. Around 7 minutes 30 seconds into flight, TRICOM-1R separated and was inserted into its target orbit. SS-520 No. 5 launch experiment was the second attempt following the failure of SS-520 No. 4, which occurred in January 2017. Identification of the error and subsequent countermeasures resulted in the success of No.5 launch experiment. The No. 5 launch experiment was carried out to demonstrate the technology used for small satellite launcher. The launch experiment time of the microsatellite aboard SS-520 No. 5 was set for 2:03 on February 3 (Sat. ), 2018 (Japan Standard Time). The SS-520 No. 5 is a three-stage rocket that is a modification of the SS-520 two-stage sounding rocket. 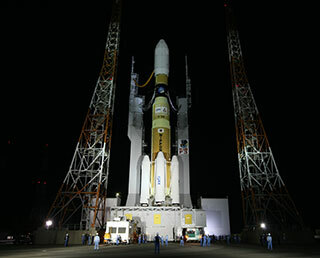 JAXA will broadcast a live launch report from the Uchinoura Space Center from 1:45 a.m. on the day. You can watch it through the Internet. Please have a look! At 6:06:11 a.m. (Japan Standard Time) January 18, 2017, JAXA launched Epsilon-3, the third Epsilon launch vehicle which encapsulates NEC Small radar satellite "ASNARO-2"
, from the JAXA Uchinoura Space Center. The launch occurred on time. The launch and flight of Epsilon-3 took place normally. Approximately 52 minutes 35 seconds into the flight, the separation of ASNARO-2 proceeded, with confirmation as successful. The launch time of the second Epsilon Launch Vehicle with NEC Small radar satellite "ASNARO-2" was set for 6:06:11 on January 18 (Thu. ), 2018 (Japan Standard Time). 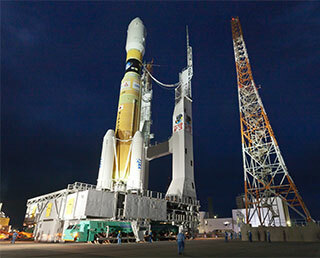 JAXA will broadcast a live launch report from the Uchinoura Space Center from 5:40 a.m. on the day. You can watch it through the Internet. Please have a look! 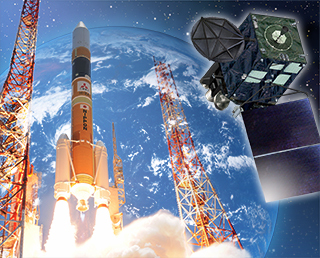 In light of adverse weather predicted for the launch day, JAXA postponed the launch of Epsilon-3, the third Epsilon launch vehicle which encapsulates NEC Small radar satellite "ASNARO-2" *, from the JAXA Uchinoura Space Center, to no earlier than January 18, 2018. The Epsilon-3 launch was previously scheduled for January 17, 2018. The new launch day will be informed once determined. Epsilon-3/ASNARO-2 new launch date decided! 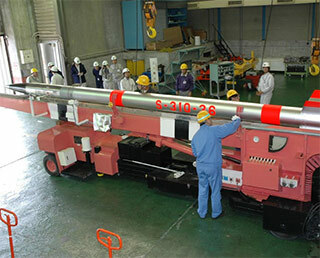 JAXA has updated the launch date of the Epsilon-3 which encapsulates the ASNARO-2. The Epsilon-3 launch, originally scheduled for November 12, 2017, was postponed as its electrical system needed further confirmation. 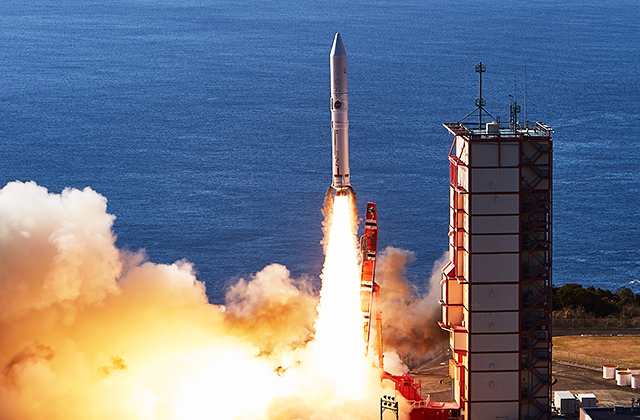 JAXA has identified and taken countermeasures against the factor that delayed the launch. The new launch date will be January 17, 2018. On November 14, 2017, JAXA invited to the JAXA Tanegashima Space Center (TNSC) the member of the media to see the LE-9 engine assembled for tests. The rain at the site hardly detracted many from around the country to look at the LE-9 model installed in the TNSC firing test chamber. LE-9 is the liquid rocket engine designed to propel the first stage of H3 Launch Vehicle now under development. From April to July, a series of engine firing testing was conducted on the first LE-9 test engine (Test model#1) primarily to confirm the sequence of activate/deactivate commands and to gain performance data. The second LE-9 test engine (Test model#2) was made public to the press. After the data from the test series is being reviewed and objectives met, the next series of tests on Test model#2 will get readied to start. During launch, a rocket makes huge noise equivalent to hundred large passenger jet engines. The acoustic energy can cause damage to its payload as well as the rocket itself. 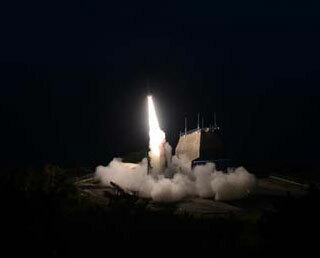 To minimize it, H3 that JAXA is now developing seeks to achieve the world’s quietest launch. As part of the noise reduction program, HARE (H3 Scaled Acoustic Reduction Experiment) was carried out from April to July, at the JAXA Noshiro Rocket Test Center, Akita. 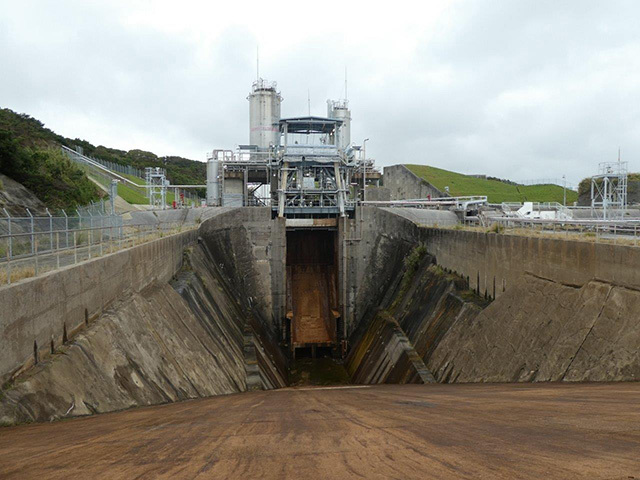 The water system is designed to protect the Shuttle and its payloads from any damage that may occur from acoustical energy reflected from the Mobile Launcher Platform (MLP) during launch. The countermeasures have mainly evolved around simple noise testing and numerical noise analysis. Based on these, installment of the devises has been made at the ground facility including water suppression system and sound absorbing walls. 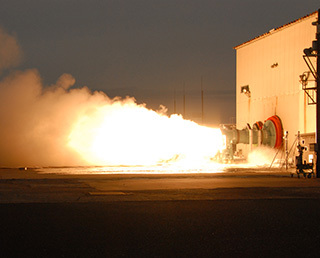 The acoustic tests on a 1:24 scale model of H3 and launch system provided critical data about how the powerful noise generated by the engines and boosters. The data also elucidated the transient pressure rate at the ignition of the solid motor. Analysis of the data will give JAXA deeper understanding of the mechanism of noise generation during liftoff. 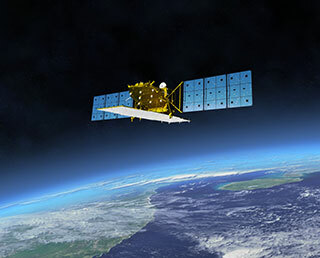 Application of the HARE data, along with other acoustic data collected at H-IIA and B launches will be used for the design and development of H3 and the ground facility. 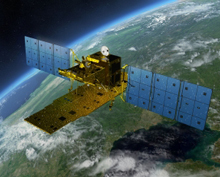 The Japan Aerospace Exploration Agency (JAXA) decided to postpone the launch of the third Epsilon Launch Vehicle (Epsilon-3) with the Advanced Small-size Radar Satellite (ASNARO-2) on Board to November 12, 2017, from the Uchinoura Space Center. 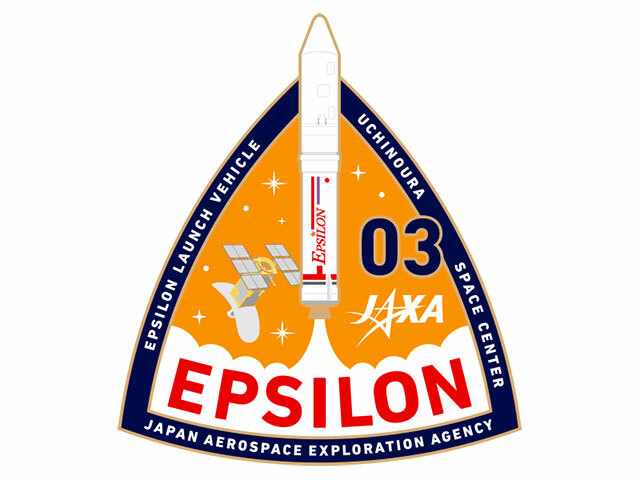 JAXA will take extra time to rectify the incompatibility found in the electrical system of the Epsilon-3 in the course of launch campaign at the launch site. JAXA announces that the Epsilon 3 launch encapsulating the second Advance Satellite with New System Architecture for Observation (ASNARO-2) is scheduled on November 12, 2017. The launch window is 6 a.m. through 6:35 a.m., in Japan Standard time. Epsilon launch is not new - the proceeding two were sent up to space. Epsilon 3 has had improved its mechanism for satellite separation. Preparation for the launch is underway. 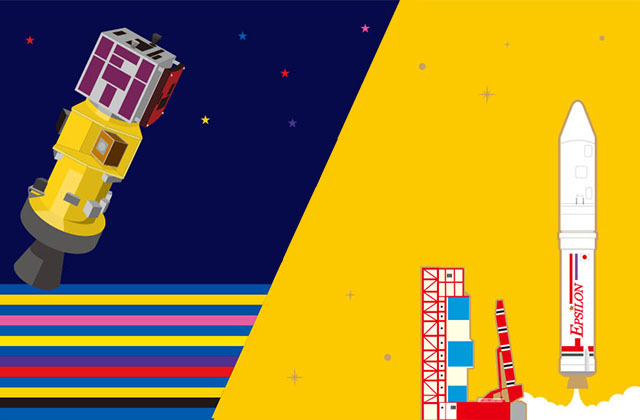 On the day of the launch, there will be live feed from the JAXA Uchinoura Space Center. The details soon will begin to come out. Unit tests of the turbopumps, components of the LE-9 engine, are underway at the JAXA Kakuda Space Center. The oxygen and fuel turbopumps are LE-9's essential parts, responsible for supplying liquid oxygen and liquid hydrogen fuel to the engine's main combustion chamber. The liquid hydrogen turbopump delivers 750 liters, or four drum containers of cryogenic liquid hydrogen per second into the LE-9's combustion chamber. 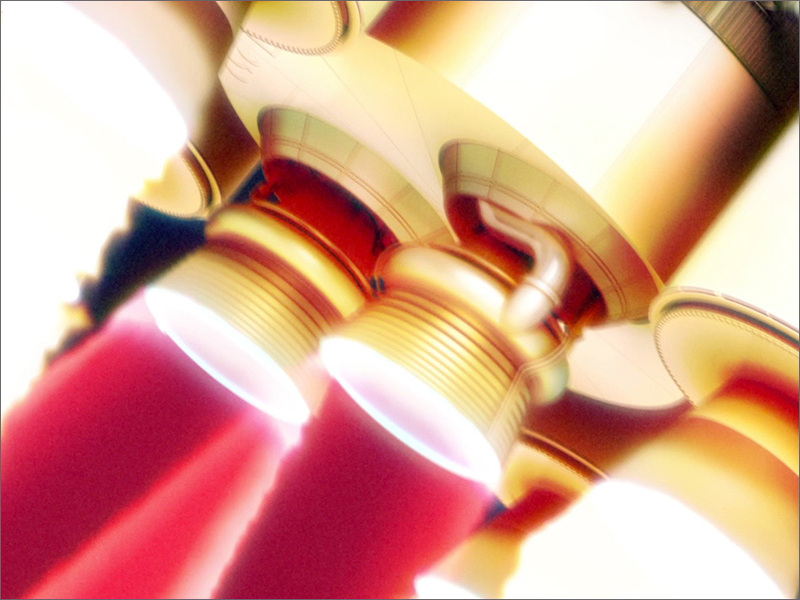 The turbopumps mounted on the replicated LE-9 engine undergo a series of testing to ensure their function and performance. At the Kakuda Center, there is a burn pond for disposal of hydrogen gas boil-off. Boiling off unused liquid hydrogen to dissipate produces a towering blaze that can reach fifty meters. Images of LE-9 development is available in the video below with excerpts from the unit testing. JAXA is inviting all to write notes to cheer on the project members and the mission of Epsilon-3, to be launched this fiscal year. The project members of the past series of Epsilon launches have drawn strength from the similar campaigns. The notes sent to JAXA will be printed as part of the decal (sticker) attached to the body of the launch vehicle. JAXA appreciates the positive participation by many. *The deadline has been changed. JAXA tested LE-5B-3, the liquid rocket engine designed to propel the second stage of H3 Launch Vehicle now under development. LE-5B-3 enhances the LE-5B-2 engine that likewise boosts the second stage of H-IIA and H-IIB. LE-5B-2 has earned the time-tested record of reliability after scores of successful H-II launches. 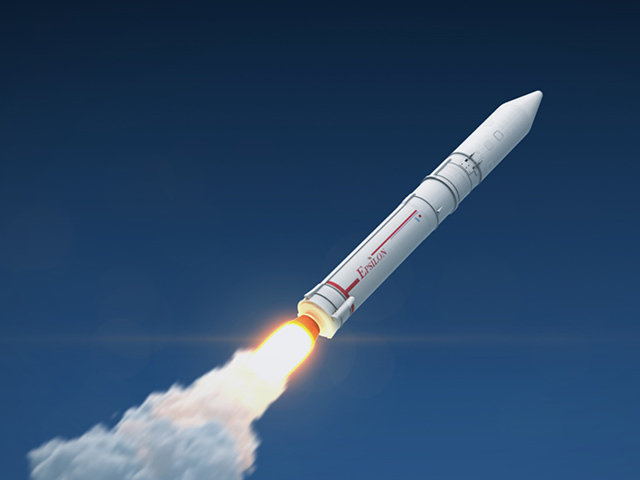 Improvements are being made to lower the cost of LE-5B-3, without compensating the dynamics to blast off H3, a larger rocket and to sustain its flight. 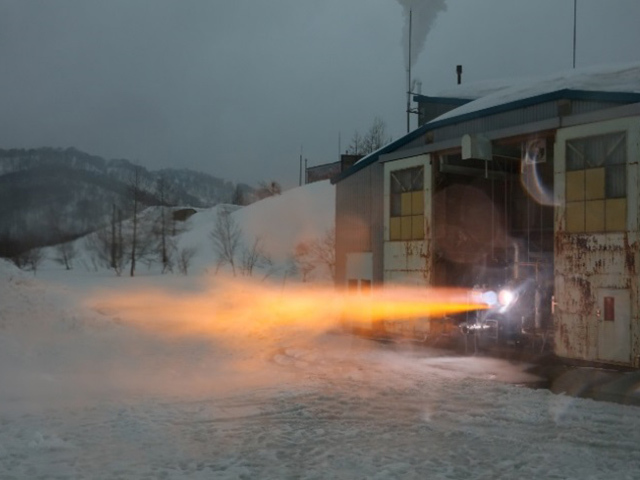 Following the design improvements for affordability and performance which reached the desired level in August 2016, JAXA successfully conducted the test of the liquid hydrogen turbopump in December 2016 through January 2017. The liquid hydrogen turbopump -- equivalent of the heart of a human body -- draws in the propellants into the engine thrust chamber. Since March 2017, the first engine with the hydrogen turbopump, assembled for certification was completed, kicking off its preliminary firing testing. The test is proceeding on schedule. By September 2017, test results will expectedly prove the soundness of the basic design improvements. 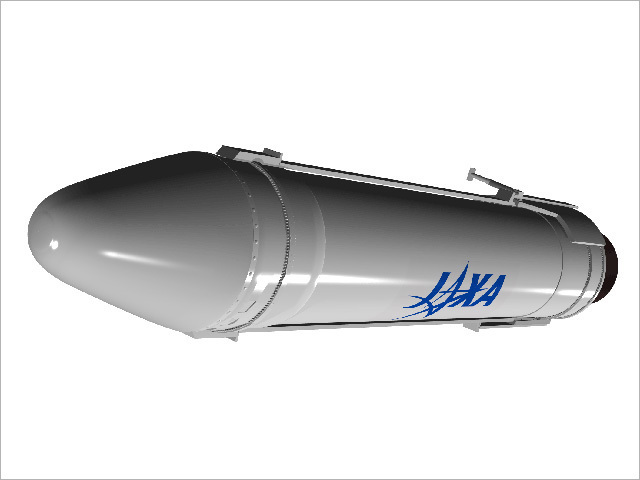 SRB-3 is an auxiliary rocket, also now under development as solid rocket booster to be attached to the base of the H3 rocket. Strap-on solid rocket boosters derived from SRB-3 reinforce H3’s launch capabilities. Varied configuration – zero, two or four booster(s), depending on the desired thrust – gives the launch vehicle a higher degree of flexibility, one of its strengths. 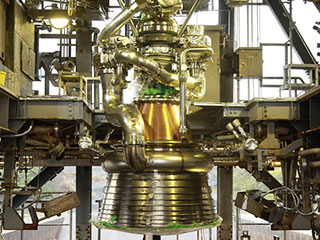 JAXA pursuits cost reduction by use of the technology that produced SRB-A, H-II rocket’s first stage engine, and simplification of the attachment methods. 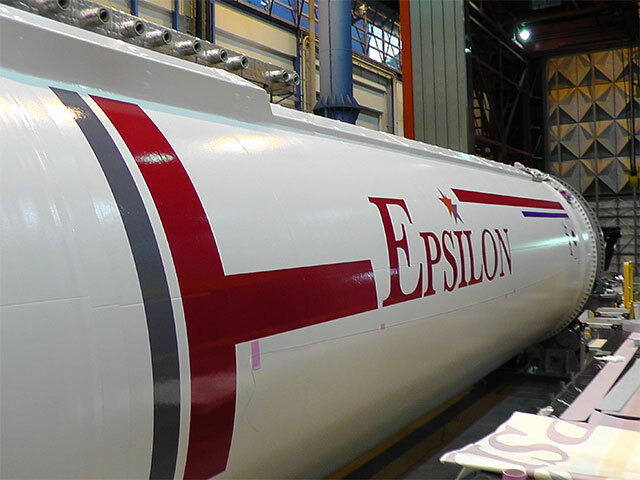 The SRB-3 rocket motor, almost the same size as SRB-A’s, is also configured for the first stage of the Epsilon launch vehicle. 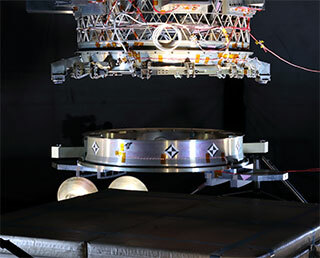 Based on the design review, since April 2017, JAXA has started testing motor strength using the full-scale motor case. 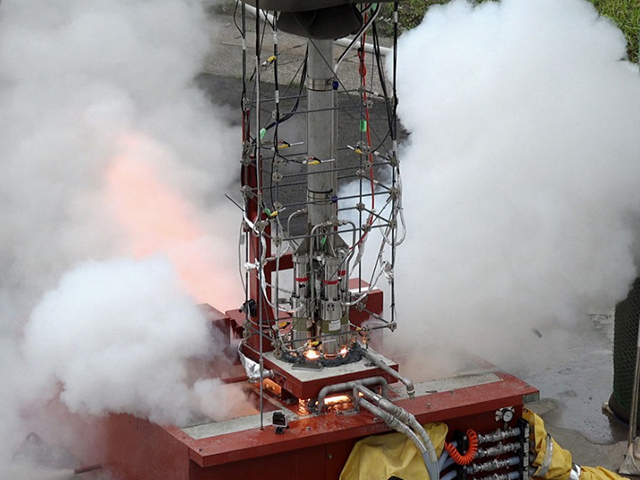 SRB-3 is subject to a series of tests, including ground firing and separation. Computerized images of JAXA's H3 rocket, to be launched in Japanese fiscal 2020, have been available to the public. 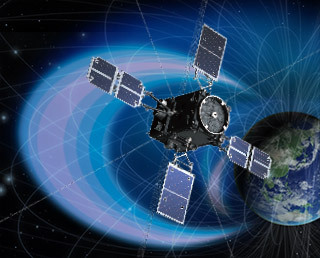 The minute-long animation begins with the image of H3, now under development, punching through clouds up towards the space. With the development in full swing, JAXA appreciates support by all - we certainly draw strength from it to make the total process successful. 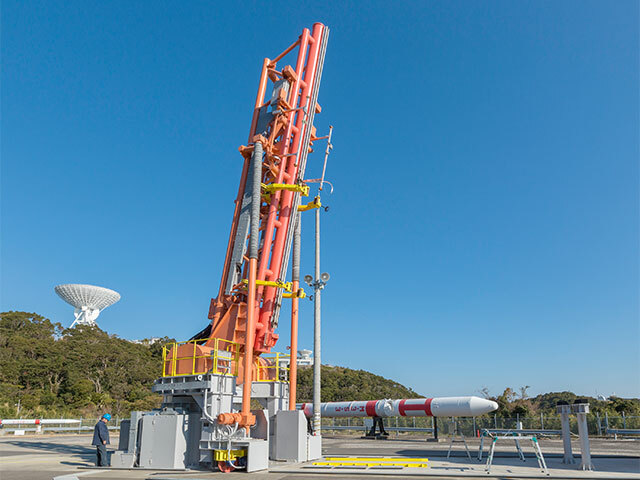 On March 31, in Tanegashima Space Center, LE-9 engine for the new H3 type of launch vehicles was installed on the facility’s firing test stand used for liquid fuel boosters. The test schedule will be available on the website as soon as determined. KOUNOTORI6 completed its mission with re-entry! JAXA successfully launched the second Epsilon Launch Vehicle with Exploration of energization and Radiation in Geospace (ERG) aboard at 8:00 p.m. on December 20, 2016 (JST) from the Uchinoura Space Center. The launch vehicle flew as planned, and at approximately 13 minutes and 27 seconds after liftoff, the separation of ERG was confirmed. The signals were received in the Santiago Ground Station, the Republic of Chile at 8:37 p.m. (JST). ERG's solar array paddles have been deployed as planned. Also, ERG has completed the attitude control based on the sun acquisition. JAXA has nicknamed ERG "ARASE". The launch time of the second Epsilon Launch Vehicle with Exploration of energization and Radiation in Geospace (ERG) was set for 8:00:00 on December 20 (Tue. ), 2016 (Japan Standard Time). 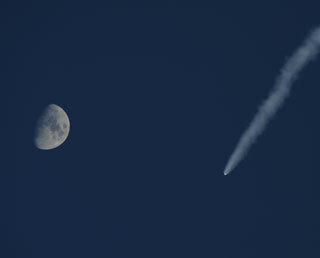 JAXA will broadcast a live launch report from the Uchinoura Space Center from 7:40 p.m. on the day. You can watch it through the Internet. Please have a look! The cargo transporter to the International Space Station, KOUNOTORI6 (HTV6) was captured with the robotic arm of the International Space Station (ISS) at 7:39 p.m. on December 13 (Japan Standard Time) and berthed to the ISS at 3:24 a.m. on December 14 (JST). 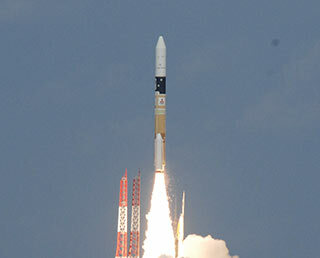 The KOUNOTORI6 was launched by the H-IIB Launch Vehicle No.6 on December 9. Astronauts aboard the ISS will shortly unload the pressurized and unpressurized logistic carriers of HTV6 and will transfer the cargo into the ISS. The payload includes food, drinking water, the new Japanese-made lithium ion battery and 7 microsatellites. The launch vehicle flew smoothly and 15 minutes and 11 seconds after liftoff, the separation of the HTV6 was confirmed. 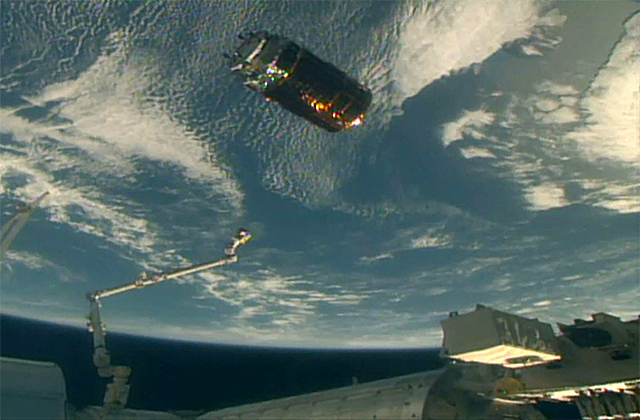 The HTV6 will gradually get closer to and will be berthed at the ISS. Don’t miss the live docking coverage on our website. 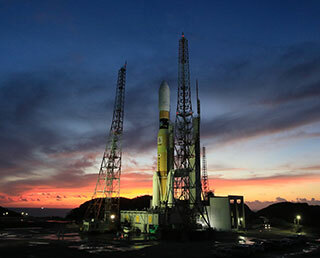 JAXA will broadcast a live launch report from the Tanegashima Space Center from 9:35 p.m. on the 9th. You can watch it through the Internet. Please have a look! JAXA announced that the second Epsilon Launch Vehicle with Exploration of energization and Radiation in Geospace (ERG) on board will be launched sometime between 8 p.m. to 9 p.m. on December 20, 2016 (Japan Standard Time). Live launch coverage from the Uchinoura Space Center will be carried on YouTube. More detail will be available shortly. JAXA is happy to hear from dear readers. Please send words of encouragement to the project members of the Epsilon and of the ERG mission. 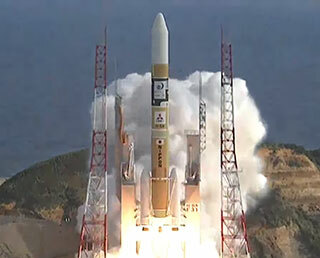 "Himawari-9" lifted off for space! Launch Success of H-IIA F31. The H-IIA Launch Vehicle No. 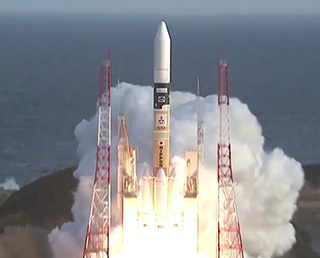 31 with the Geostationary Meteorological Satellite "Himawari-9" onboard lifted off at 3:20 p.m. on November 2, 2016 (Japan Standard Time) from the Tanegashima Space Center. The launch vehicle flew as planned, and at about 27 minutes and 51 seconds after liftoff, the separation of the "Himawari-9" was confirmed. 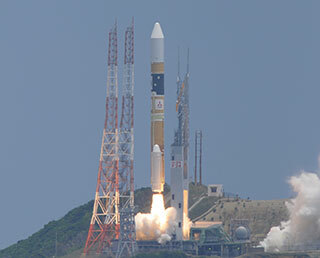 The Himawari-9/H-IIA F31 launch was postponed to 3:20:00 p.m. on November 2 due to adverse weather. The launch was originally scheduled for November 1. Accordingly, the live broadcast of the launch will start at 2:40 p.m. on Nov. 2. Please don’t miss it! 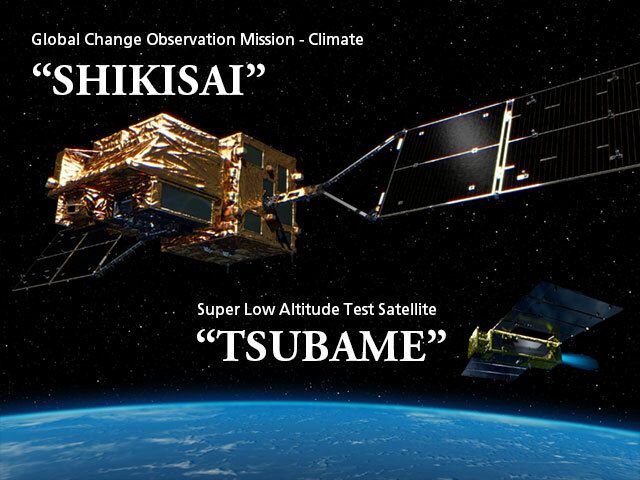 Your support messages are very much welcome through Twitter (Hashtag #himawari9). 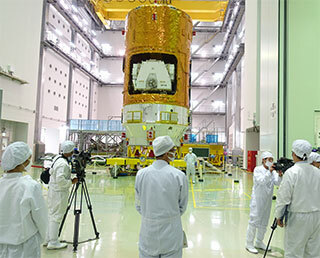 On October 19, members of the media were invited to view KOUNOTORI6 (HTV6), H-II transfer vehicle to the Space Station. 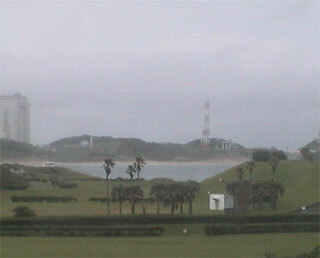 The event was held at Tanegashima Space Center (TNSC) and attracted many as it showed actual HTV6 before launch. At the premiere, Hirohiko Uematsu, Director of HTV Technology Center, Human Spaceflight Technology Directorate, JAXA explained the general facts and the payloads of HTV6, and addressed the records of past HTV operations, improvements, and the progress of launch preparation. Koichi Inoue, Team Leader of KITE, Research and Development Directorate, JAXA spoke about KITE, Kounotori Integrated Tether Experiment. 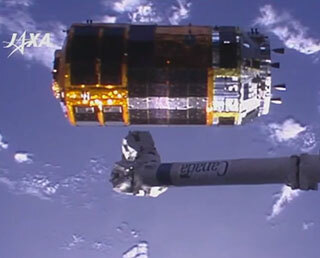 JAXA is making an attempt of on-orbit demonstration of electrodynamic tether (EDT) on HTV. KITE is expected to develop the system which through the use of EDT eliminates space debris on low-earth orbits. The tether length is approximately 700 m, on an unprecedented scale. Space debris has increasingly become a serious issue. HTV6 will shortly undergo its final preparation procedure, where loading of propellant, encapsulation in its payload fairing, and docking to HTV6 will ensue. The launch is scheduled at around 10:26 pm on December 9 (Fri.), (Japan Standard Time) (subject to change by the international coordination for ISS operations) at TNSC. The launch schedule of the H-IIB Launch Vehicle No. 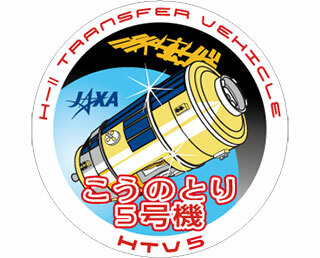 6 with the H-II Transfer Vehicle “KOUNOTORI6” (HTV6) on board, temporarily postponed has been updated to around 10:26 p.m. on December 9 (Fri.), (Japan Standard Time, JST). 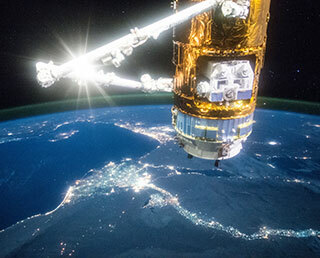 JAXA appreciates messages to KOUNOTORI mission and the project team. Please write to following site. The launch schedule of the H-IIA Launch Vehicle No. 31 (H-IIA F31) has been decided to be between 3:20 thru 6:18 p.m. on Nov. 1 (Tue), 2016 (Japan Standard time). 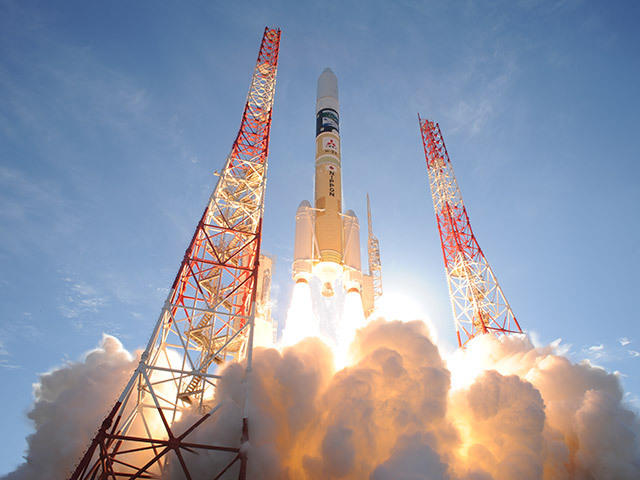 The launch will be performed by Mitsubishi Heavy Industries and JAXA. 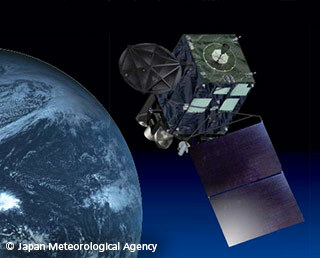 The H-IIA F31 will carry the geostationary meteorological satellite "Himarawi-9," which will be operated for observation by the Japan Meteorological Agency (JMA). 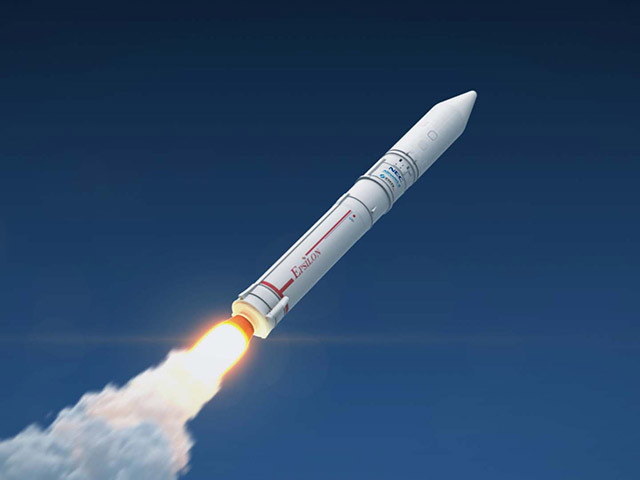 Mitsubishi Heavy Industries, Ltd. and JAXA decided to postpone the launch of the H-IIB Launch Vehicle No. 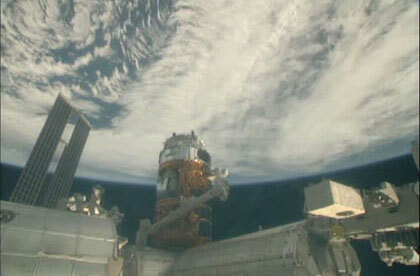 6 with “KOUNOTORI6” (HTV6) onboard which was scheduled for October 1 (Sat. ), 2016 (Japan Standard Time), as unfavorable. A slight leak was detected from piping of the HTV6 during an air tightness test. 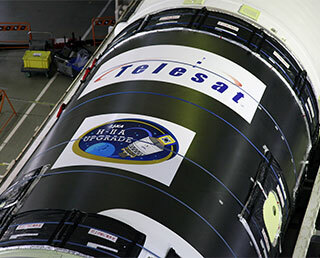 The test is part of HTV6 launch preparations at the launch site. We will disband the HTV6 module and take necessary measures. Launch day set for KOUNOTORI6/H-IIB F6! The launch date and time for the H-IIB Launch Vehicle No. 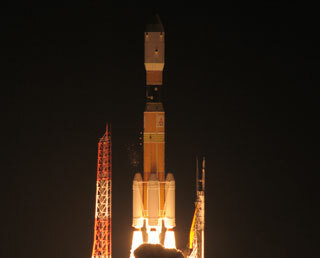 6 (H-IIB F6) with the H-II Transfer Vehicle "KOUNOTORI6" (HTV6) onboard was set for around 2:16 a.m. on October 1 (Sat. ), 2016 (Japan Standard Time). We welcome your support messages to KOUNOTORI6 mission and its project team members! 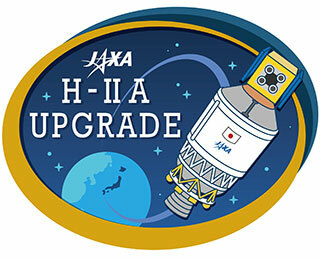 JAXA created a logo for the development of the H3 Launch Vehicle to unify engineers' minds with a single goal. The logo is composed of geometric lines to simply express “a powerful flight to space by H3, which supports Japan’s space development.” Orange is the H3's image color, and white on both sides indicates an image of smoke and plume from the solid rocket boosters. 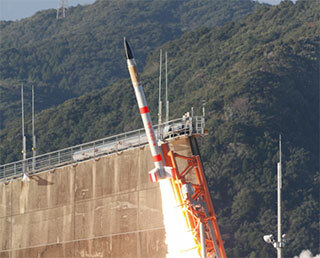 On Friday, January 15, JAXA launched the S-310-44 sounding rocket from the Uchinoura Space Center. The launch had the objective of “The Clarification of the Heated Phenomenon of Ionospheric Plasma”. The flight was a success and the S-310-44 dropped into the southeastern ocean off Uchinoura. (*) Sq current system: the electric current in the lower ionosphere, which originates with the atmospheric movement. The energy input from the sun generates the movement. On Monday, December 21, JAXA conducted the static firing test of the second stage motor of M-35, the Enhanced Launch Vehicle in Noshiro Rocket Center (Noshiro City, Akita). M-35 was designed to improve the launch capabilities. 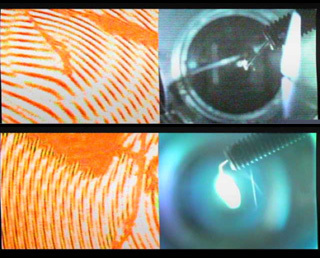 The experiment was done with a view to ensuring its design, under the simulated vacuum conditions. The weather was overcast, at 2.5 m/sec easterly winds. 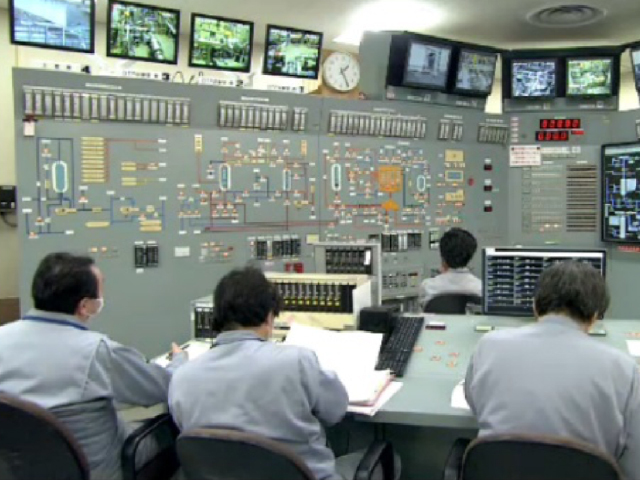 The test started on time, from 11am (JST) and the firing lasted for approximately 2 minutes. The maximum firing pressure was 5.55 MPa (preliminary figure). The test results will be analyzed and be reflected in the enhanced Epsilon designs. The Exploration of energization and Radiation in Geospace (ERG) will be launched by the Epsilon in the Japanese fiscal 2016. Telstar 12 VANTAGE lifted off for space! Launch Success of H-IIA F29. 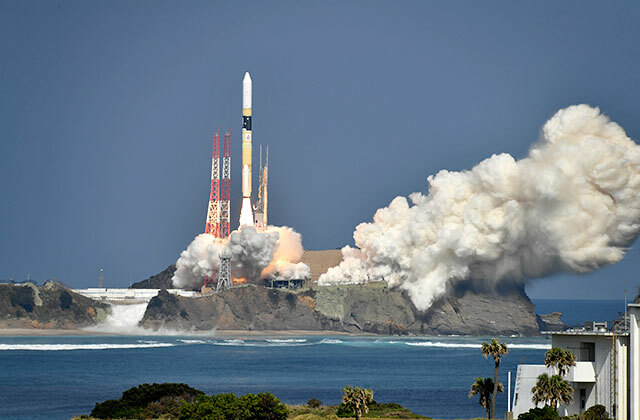 The H-IIA F29 with Telstar 12 VANTAGE onboard lifted off at 3:50:00 p.m. on Nov. 24, (Japan Standard Time) from the Tanegashima Space Center. The launch vehicle flew smoothly, and, at about 4 hours and 27 minutes after liftoff, the separation of the Telstar 12 VANTAGE was confirmed. H-IIA F29 incorporates the outcome of the H-IIA UPGRADE. Following a long coast, the 3rd burn of the upgraded 2nd stage was conducted successfully. Then, Telstar 12 VANTAGE was injected closer to geostationary orbit than previous standard transfer orbit. 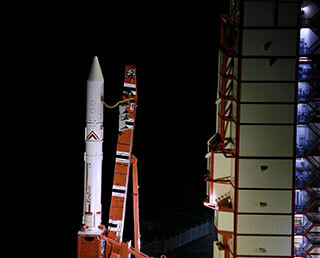 The launch time of the Upgraded H-IIA (H-IIA F29) was set for 3:23 p.m. on November 24 (Tue.) 2015 (Japan Standard Time). 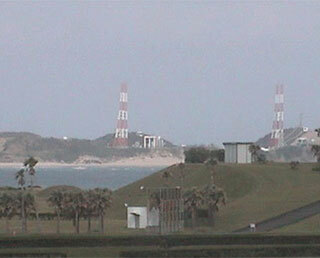 JAXA will broadcast a live launch report from the Tanegashima Space Center from 2:45 p.m. on the day. You can watch it through the Internet at home. Please do not miss this event! Please send your support messages for the mission, or tweet it including the hashtag #h2af29. KOUNOTORI5 completed its mission with re-entry! The KOUNOTORI 5 successfully achieved its mission of taking cargo to the ISS, then completed all its tasks over about 42 days. 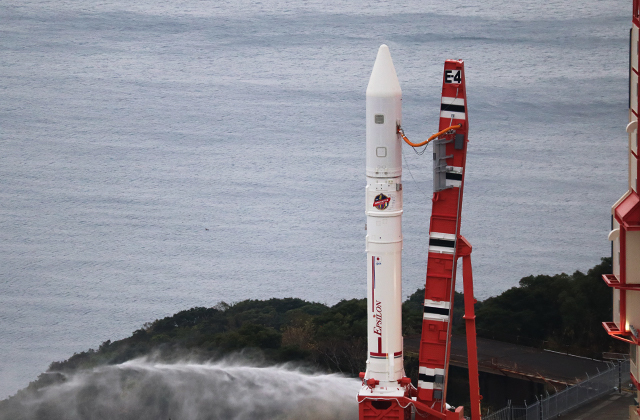 The launch of the H-IIA Launch Vehicle No..29 (H-IIA F29) was set to be between 3:23 p.m. thru 5:07 p.m. on Nov. 24 (Tue. ), 2015 (Japan Standard Time). Our achievement of developing an upgraded flagship launch vehicle for acquiring global-level launch capacity of a geostationary satellite (upgraded specifications) is incorporated into the second stage of the H-IIA F29. With the upgraded technology, our launch vehicle will be further improved to be more user friendly and useful than the conventional H-IIA. H-IIA F29 launch will be broadcasted live. 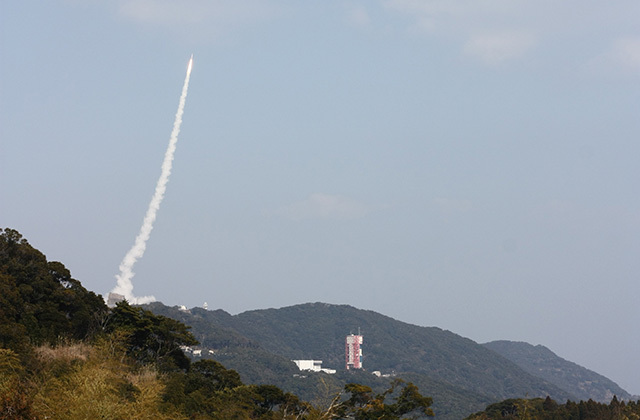 JAXA successfully launched the S-520-30 sounding rocket from the Uchinoura Space Center on September 11 (Fri.), 2015, with the objective of “clarifying the nucleation process of oxide-based cosmic dusts”. The flight went smoothly, and the onboard instruments worked properly. After completing its mission, the S-520-30 dropped into the south eastern ocean off Uchinoura Through the experiment this time, we evaporated oxides under the micro-gravity environment by ballistic flight of the S-520-30, and directly measured the generation and growth process of oxide particles that were condensing after the evaporation. The “KOUNOTORI5” launched by the H-IIB F5 on Aug. 19 (Wed. Japan Standard Time) was captured by the robotic arm of the International Space Station (ISS), which was maneuvered by Astronaut Kimiya Yui, at 7:29 p.m. on August 24 (Mon. JST). The HTV5 was then successfully berthed at the ISS at 2:28 a.m. on August 25 (Tue. JST). 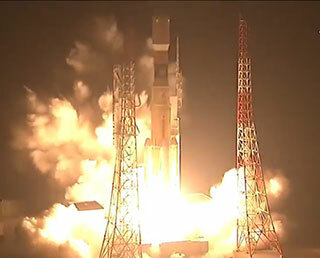 KOUNOTORI5 successfully launched by H-IIB F5! The KOUNOTORI5, a regular cargo transporter to space, was launched by the H-IIB Launch Vehicle No.5 (H-IIB F5) at 8:50:49 p.m. on August 19 (Wed.) 2015 (Japan Standard Time, JST) from the Tanegashima Space Center. The launch vehicle flew smoothly, and, at about 14 minutes and 54 seconds after liftoff, the separation of the KOUNOTORI5 was confirmed. The KOUNOTORI5 will fly near the International Space Station, and Astronaut Yui will maneuver the robotic arm to capture it. We plan to broadcast his performance through the Internet from around 7:05 p.m. on Aug. 24 (Mon.) Please don't miss it! The KOUNOTORI5(HTV5)/H-IIB F5 launch was postponed to 8:50:49 p.m. on August 19 due to adverse weather. Accordingly, the live launch report will begin at 8:00 p.m. on August 19 (Wed. , JST). The report will be broadcast through the Internet. Please send your support messages for the mission, or tweet it including the hashtag #HTV5. The launch date of the H-IIB Launch Vehicle No. 5 carrying the KOUNOTORI5 has been postponed as unfavorable weather is forecasted. The launch was originally scheduled for August 17. The live broadcast of the launch will also be put off accordingly. Your support messages are very much welcome through Twitter (Hashtag “#HTV5”) or via the following website. 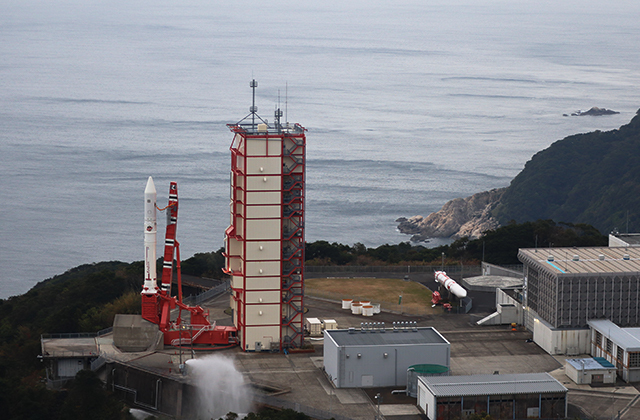 The KOUNOTORI5/H-IIB F5 launch was postponed to 9:35:54 p.m. on August 17 due to adverse weather. The launch was originally scheduled for August 16.. Accordingly, the live broadcast of the launch will start at 8:50 p.m. on Aug. 17. Please don’t miss it!. The launch date of the H-IIB Launch Vehicle No. 5 carrying the KOUNOTORI5 has been postponed as unfavorable weather is forecasted. The launch was originally scheduled for August 16. The live broadcast of the launch will also be put off accordingly. The development of the Enhanced Epsilon Launch Vehicle has been going smoothly. The static firing test of the sub-sized upper-stage motor was completed before the end of March, 2015, as scheduled. On June 18, shocks and behavior due to the payload separation impact were checked through the pyro-shock test at the Sagamihara Campus. The Enhanced Epsilon has a better launch capacity compared to the first Epsilon launched in Sept. 2013. The goal is to launch the Exploration of energization and Radiation in Geospace “ERG” in JFY 2016. Exploration of energization and Radiation in Geospace "ERG"
After international coordination, the dates for capturing the KOUNOTORI5, a cargo transporter to the International Space Station (ISS), and its berthing have been respectively set as August 20 (Thu.) and 21 (Fri.) The KOUNOTORI5 is scheduled to be launched on August 16 (Sun.) from the Tahegashima Space Center. It was also decided that Astronaut Kimiya Yui will manipulate the ISS robotic arm to capture the KOUNOTORI2. 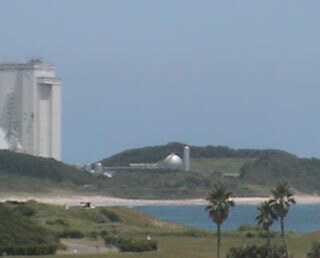 On July 1, the KOUNOTORI5, a cargo transporter to the ISS, was revealed to the media at the Tanegashima Space Center. The mission was also explained there. 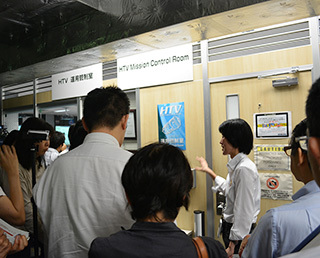 From the evening of July 9 to the morning of the 10th, simulation training for the KOUNOTORI5 operation and control was held in the KOUNOTORI operation room at the Tsukuba Space Center, and part of it was also open to the press. 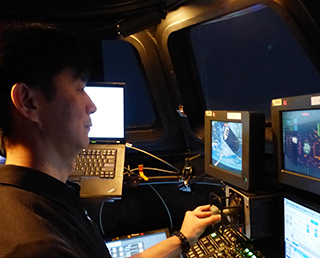 This training was a last opportunity for a joint session between JAXA and NASA before the KOUNOTORI5 launch. On the NASA side, Astronaut Wakata participated in the training as a CAPCOM (capsule/spacecraft communicator). Launch day set for KOUNOTORI5/H-IIB F5! The launch date and time for the H-IIB Launch Vehicle No. 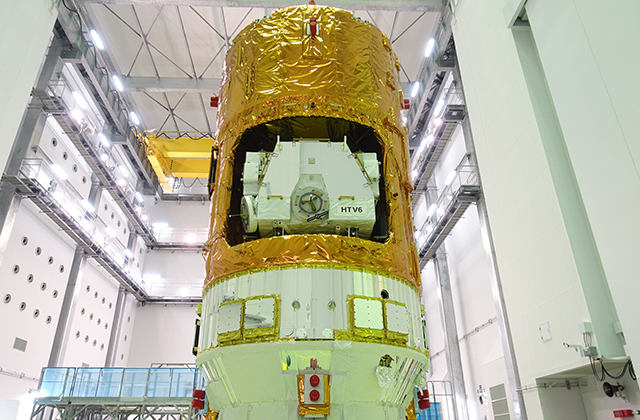 5 (H-IIB F5) with the H-II Transfer Vehicle "KOUNOTORI5" (HTV5) onboard was set for around 10:01 p.m. on August 16 (Sun. ), 2015 (Japan Standard Time). The H-IIB F5 has already been transported to the TNSC, and it is now being assembled there. 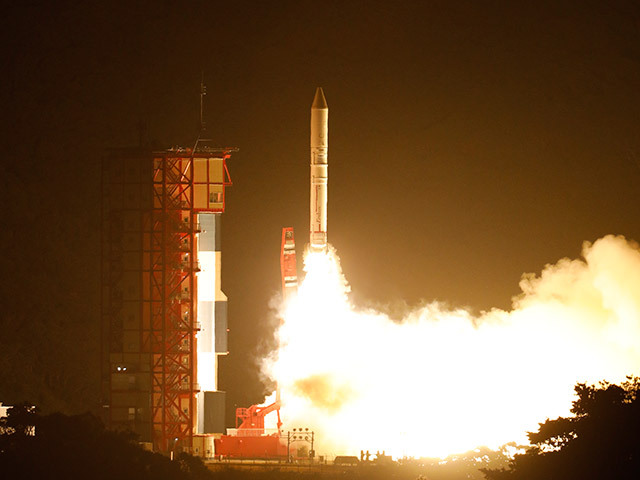 JAXA launched the S-520-29 sounding rocket from the Uchinoura Space Center on August 17 (Sunday）, 2014, with the objective of the "stereoscope observation of Sporadic E layer space structure." The experiment was successful. The S-520-29 dropped into the south eastern ocean off Uchinoura after its normal flight and operation of onboard experiment instruments. The first Epsilon Launch vehicle (Epsilon-1) developed and launched by JAXA in September 2013 received the JFY 2013 Good Design Award Gold Award sponsored by the Japan Institute of Design Promotion. KOUNOTORI4 completed its mission with re-entry! The KOUNOTORI 4 successfully achieved its mission of taking cargo to the ISS, then completed all its tasks over about 36 days. The KOUNOTORI4 will gradually go closer to the International Space Station, and it will be berthed at the ISS. We will broadcast the berthing on our website, so don't miss it! 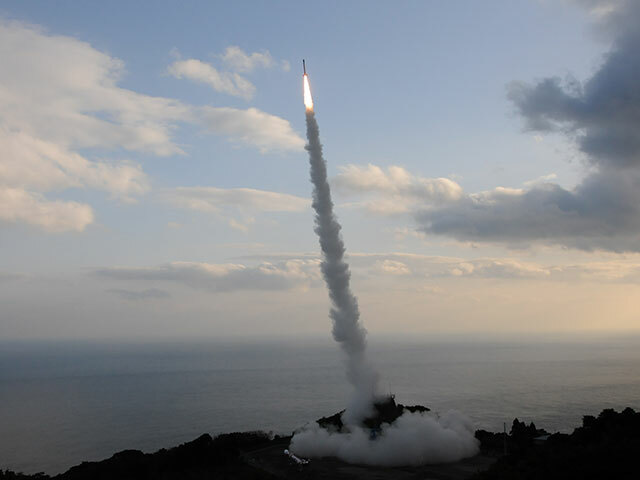 JAXA launched the sounding rocket S-520-28 at 4:00:00 p.m. on December 17, 2012 (Japan Standard Time) from the Uchinoura Space Center. The launch aims at conducting a homogeneous nucleation experiment* using the microgravity environment. The vertical angle at the launch was 76 degrees and the experiment went smoothly as planned. The flight and operation of the onboard equipment went well, and, at 10 seconds after liftoff, the nucleation experiment with calcium carbonate started, then at 100 seconds, the nucleation reproduction test started as planned. The sounding rocket then reached its maximum altitude of 312 km at 283 seconds after liftoff, then dropped into the south eastern ocean off Uchinoura. The acquired data this time will be analyzed in detail. *In the homogeneous nucleation experiment, we aimed at observing nucleation, which was the first phase of crystallization, by utilizing the microgravity environment during the first few minutes of flight while the sounding rocket was on a ballistic trajectory, then to understand the physics of nucleation. In addition, the experiment also had a purpose of acquiring basic data for future long-term tests to be held repeatedly at the International Space Station.